We have compiled the actions of Patrik 'f0rest' Lindberg of NiP, who was named our MVP of the SL i-League StarSeries Season 2 Finals, for your viewing enjoyment. The SL i-League StarSeries Season 2 Finals were claimed by NiP last weekend (despite playing with a stand-in in the form of Mikail "Maikelele" Bill) and it was Patrik "f0rest" Lindberg who spearheaded the effort towards first place on the podium. For that reason, we named him our MVP of the event and with good reason: f0rest led the tournament in round shares, had the second highest percentage for kill, assist, survival, or a traded death (76%), and was in particular a high impact player on the CT-side. Below you can find a compilation of these actions which earned the 28-year-old Swede the MVP award, with the video having been made by our video editor Marcos "proutounz" Soares. I'm the kind of fan who appreciates the important plays and more impact in the match, for my opinion, he had too many frags antiecos who helped him to improve his K/D. dudes, here we've got the best ever. shox should be mvp ? He has such an amazing aim. So fun to watch. GG to the legend. His aim is so calm as if were shootin' harmless bots. not at the level of the other player videos or mvp videos imo. But thanks anyway! low edit imo, why would u make it so dim? 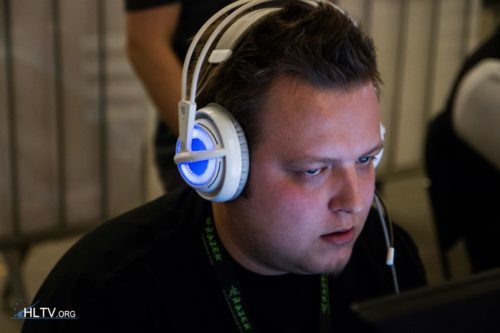 Would HLTV have an edit for friberg's ace clutch too? ?